How can a city improve nighttime safety, create public art, and collect pedestrian data all at once? 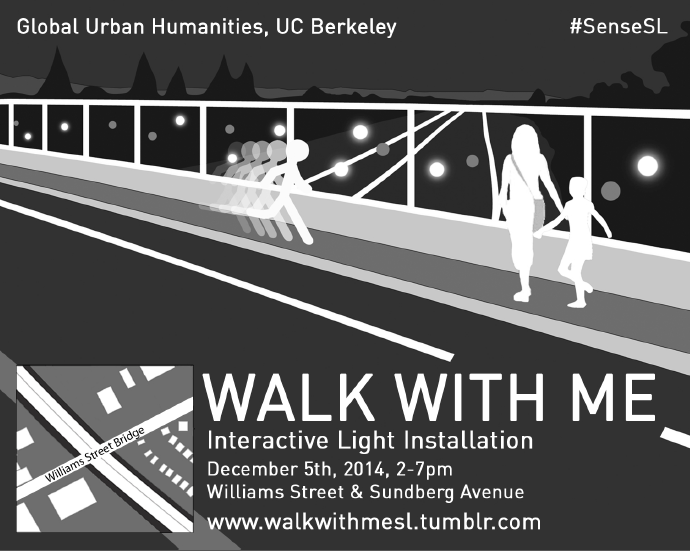 Come see how in beautiful interactive lighting art projects/sensors by UC Berkeley students installed in underpasses, on overpasses near schools, and along walking routes to BART. 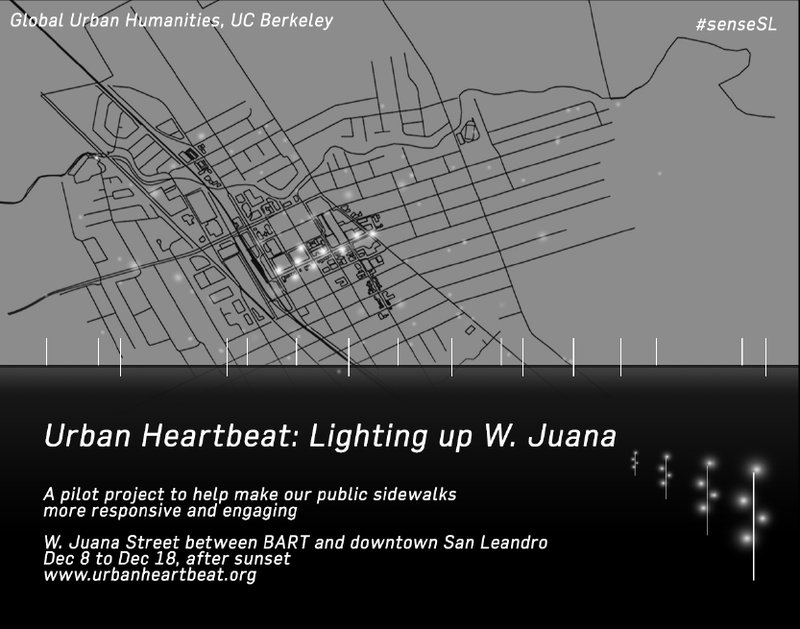 Urban Heartbeat, a pilot project to help make our public sidewalks more responsive and engaging, is one of three temporary installations by graduate students in art practice, city planning, architecture, geography, and other fields, working closely with the City of San Leandro. The other two projects are: Walk with Me and Underglow. Urban Heartbeat can be experienced every night after sunset, Dec 8-18. For more information, visit http://globalurbanhumanities.berkeley.edu/sensing-cityscapes. Come see student work and join the discussion on the role of sensors and data in understanding urban metabolisms. 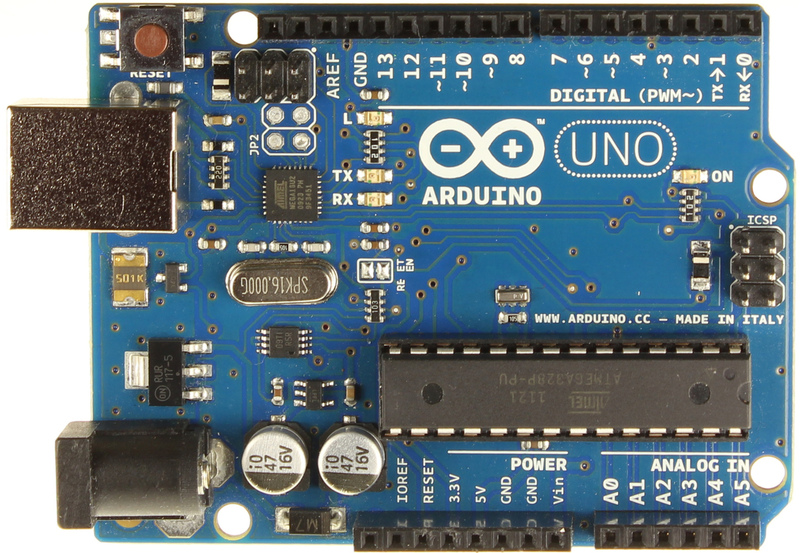 Sensing Cityscapes: Sensors, Cities, Policies/Basic Protocols for New Media is an interdisciplinary course that is part of the Global Urban Humanities Initiative and is taught by Greg Niemeyer (Art Practice and the Berkeley Center for New Media) and Ronald Rael (Architecture). Reception follows the symposium at the Banatao Auditorium, Sutardja Dai Hall. 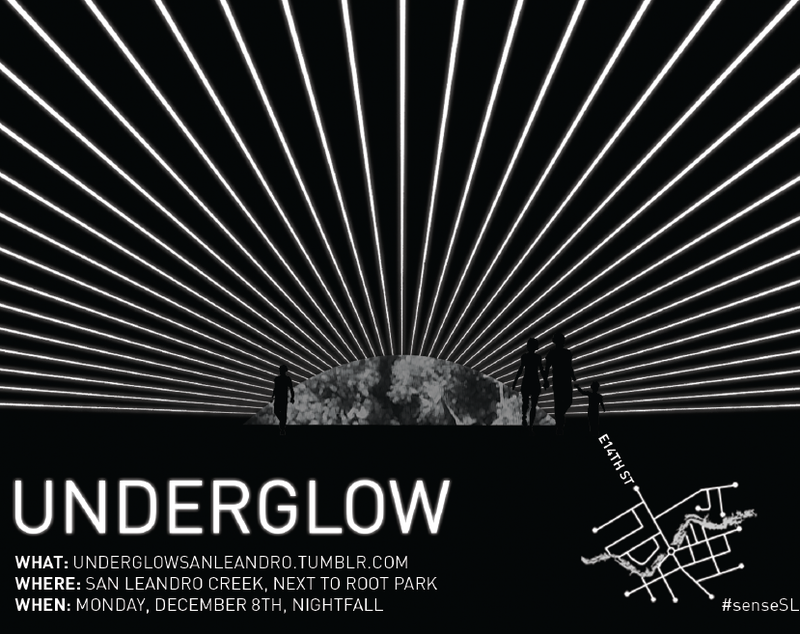 Underglow is one of three temporary installations by graduate students in art practice, city planning, architecture, geography, and other fields, working closely with the City of San Leandro. The other two projects are: Walk with Me and Urban Heartbeat. Underglow can be experienced on Dec 8 upon nightfall. Walk with Me is one of three temporary installations by graduate students in art practice, city planning, architecture, geography, and other fields, working closely with the City of San Leandro. The other two projects are: Urban Heartbeat and Underglow. 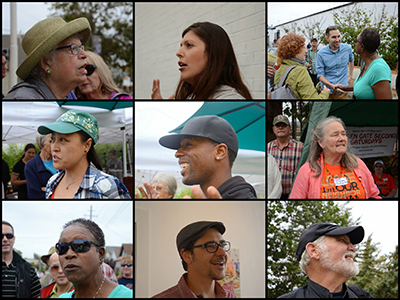 Elena Serrano, Program Director of EastSide Arts Alliance, will host a small group accompanying Rick Lowe as we tour five sites on International Boulevard in Oakland. 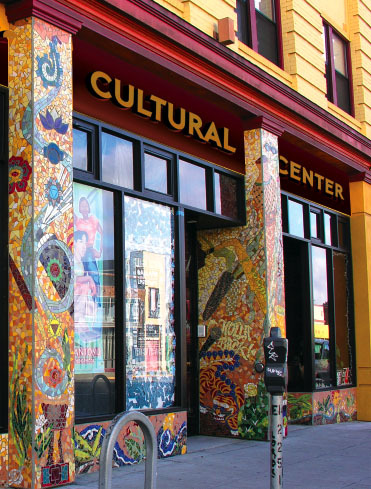 Afterwards, we will gather at EastSide Cultural Center to explore the efforts of Eastside and other Oakland community organizations to shape development to benefit existing residents. Tour stops along International Boulevard will include: 23rd Ave. and the EastSide Cultural Center; the High Street parking lot of Casa Jimenez Restaurant where new murals and eating/sitting spaces are being planned; the 57th Ave. abandoned historic Safeway corporate headquarters with partners East Bay Asian Local Development Corporation (EBALDC) and Oakland Sustainable Neighborhoods Initiative (OSNI); the 81st-87th Ave. vacant lot nicknamed “the Living Room” with Allen Temple; and a 94th Ave. vacant lot which is being envisioned as a microbusiness incubator. The tour will end at EastSide Cultural Center. 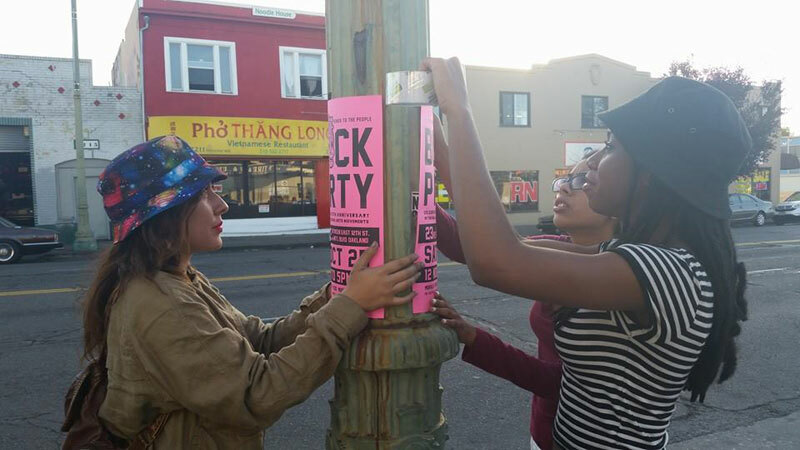 EastSide Arts Alliance (ESAA) is a collective of artists and community organizers of color who live and work in the San Antonio district of East Oakland, California. Founded in 1999, their mission is to unite art with activism to work for community empowerment and cultural development, and to build bridges between the disenfranchised, racially and ethnically divided communities that reside in our immediate neighborhood and in the broader East Bay. The Public Art/Housing Publics: Conversations on Art and Social Justice symposium will explore innovative collaborations across cultural and social justice sectors. How can we sustain affordable housing and healthy neighborhoods in our communities? How can we sustain a thriving artistic life for our citizens? Most importantly, how can we answer both of these questions together? Timed to coincide with the residency of UC-Berkeley Regents Lecturer, Rick Lowe* of Project Row Houses, participants will include artists, scholars, civic organizers, and affordable housing developers from around the Bay Area. Featuring: Elena Serrano, Executive Director, Eastside Arts Alliance; and Eastside Cultural Center partners; Aubra Levine, Senior Project Manager, Satellite Affordable Housing Associates (SAHA); Andrea Papanastassiou, Northern California Community Loan Fund. Rick Lowe will act as respondent. What does it take for a neighborhood-based arts organization to secure its future? Does owning your own building help? What kind of partnerships and cross-sector communication does non-profit real estate development require? What is the connection between housing and art? What does place-based creativity mean, and how does ownership in the broadest sense relate to authenticity? The partners who created the Eastside Cultural Center will discuss the development of the original center, which includes space for community arts creation and 16 units of affordable housing, and their current plans to build more units as well as expand arts programming. Featuring: Walter J. Hood, UC Berkeley Professor of Landscape Architecture & Environmental Planning and Urban Design, Jordan Simmons, Artistic Director, East Bay Center for the Performing Arts; and Raquel Gutierrez, YBCA In Community Program Manager, Yerba Buena Center for the Arts, among others. Rick Lowe will act as respondent. This session explores the new knowledges, techniques, and vocabularies that social justice artists have acquired to depend and to extend their practice. Panelists discuss the obstacles and opportunities for imagining their work at different scales; considering issues of immigration, gentrification, urban planning, cultural policy, land rights, and environmentalism, they discuss their personal and collective strategies for working across sectors. Note: Symposium participants are welcome to attend the Museum’s L@TE event, though a paid admission is required. 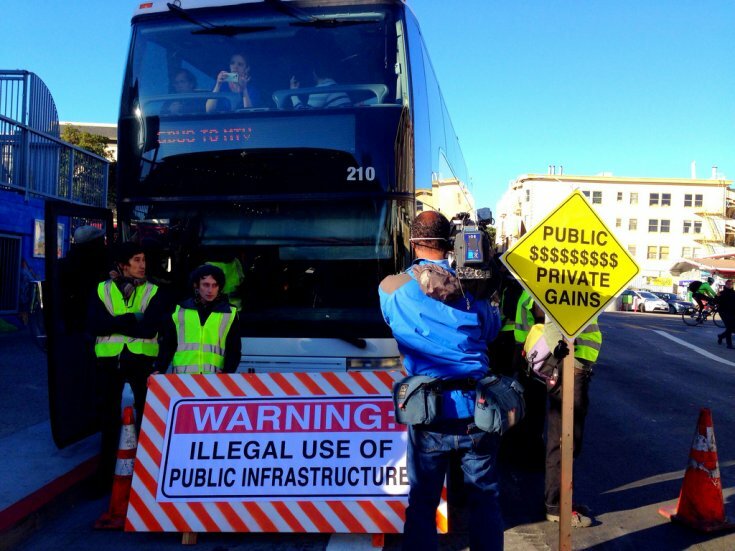 Public Art/Housing Publics: Conversations on Art and Social Justice is co-sponsored by The Arts Research Center, the Global Urban Humanities Initiative, Berkeley Art Museum and Pacific Film Archive, and UC-Berkeley Regents Lecture series. Special thanks to Amanda Eicher and OPENrestaurant. 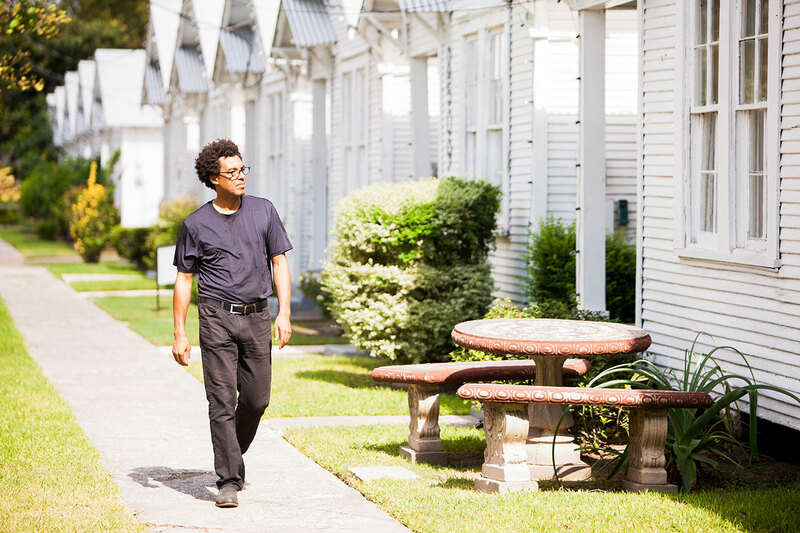 *Rick Lowe is an artist whose unconventional approach to community revitalization has transformed a long-neglected neighborhood in Houston into a visionary public art project that continues to evolve, two decades since its inception. Originally trained as a painter, Lowe shifted the focus of his artistic practice in the early 1990s in order to address more directly the pressing social, economic, and cultural needs of his community. With a group of fellow artists, he organized the purchase and restoration of a block and a half of derelict properties—twenty-two shotgun houses from the 1930s—in Houston’s predominantly African American Third Ward and turned them into Project Row Houses (PRH), an unusual amalgam of arts venue and community support center. The Tokyo Model: Lessons in Slum Non-Clearance from the World's First "Megacity"
Jordan Sand will present his research on the activities of a Tokyo slumlord at the turn of the 20th century. Sand is Professor of Japanese History and Culture at Georgetown University in Washington, DC. He teaches modern Japanese history and other topics in East Asian history, as well as urban history and the world history of food. 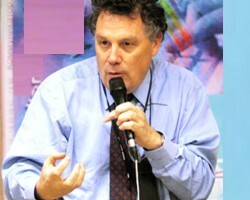 He has a doctorate in history from Columbia University and an MA in architecture history from the University of Tokyo. His research and writing have focused on architecture, urbanism, material culture and the history of everyday life. House and Home in Modern Japan (Harvard, 2004) explores the ways that westernizing reformers reinvented Japanese domestic space and family life during the late nineteenth and early twentieth centuries. 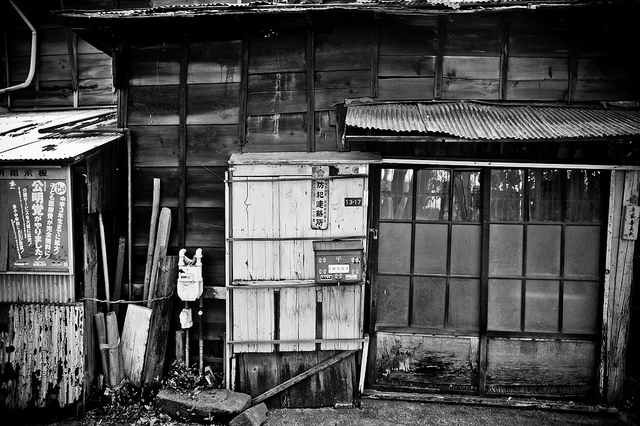 His most recent book, Tokyo Vernacular: Common Spaces, Local Histories, Found Objects (University of California Press, 2013), analyzes problems of history and memory in the postindustrial city. He has also examined the comparative history of urban fires and firefighting, the modernization and globalization of Japanese food (including sushi, miso, and MSG), and the history of furniture and interiors, and topics in the study of heritage and museums. He is presently working on a study of manifestations of colonialism in physical forms ranging from bodily comportment to urban planning. This event is part of the Reading Cities, Sensing Cities colloquium presented by the Global Urban Humanities Initiative. Co-presented by the Center for Japanese Studies. On Thursday morning, Rick will provide an introduction to Project Row Houses, and then participate in an extended question and answer session moderated by C. Greig Crysler, Arcus Chair Of Gender, Sexuality & The Built Environment & Associate Professor of Architecture, and Anna Goodman, Ph.D Candidate in the History and Theory of Architecture. Visit and tour of the Richmond Greenway project, a revitalization project funded by State Prop 84 grant, a Google grant, and a Land Trust grant, with stops along the way at Elm Playlot and Scientific Art Studio. Join Rick Lowe, the Arts Research Center, Pogo Park, Richmond’s Arts & Culture Manager, and members of city’s Arts and Culture Commission, as we learn about the former railway line being transformed into a walking/biking trail with community gardens, extensive murals, recreation areas, and an outdoor education kiosk. 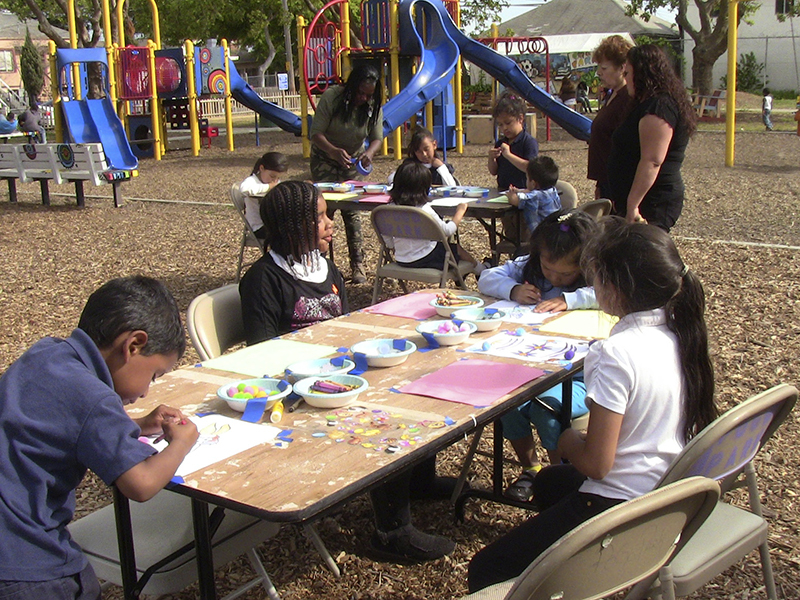 The tour will start at Elm Playlot, a .5 acre “pocket park” in the middle of the Iron Triangle. Pogo Park secured a $2 million State Park grant to rebuild this park with the community planning, designing, building, and now managing the public space. A driving force behind the rebirth of this park is public art, as almost everything there–the fence, play equipment, seating, etc.–was all built and handcrafted by the community. And it’s all art! Eight short blocks away, the group will walk to Scientific Art Studio, a famous fabrication shop also located in the Iron Triangle. The owners, Ron Holthuysen and Maren Van Duyn, are deeply involved in this historic neighborhood and use their Scientific Art Studio as a place to train the local community on how to design and build. Their work helped to complete Elm Playlot, with community residents, by hand. The group will continue on to 2nd Street and the Greenway where we will bike ride to the western side of the Greenway, stopping along the way to discuss certain key places along the project’s route. Returning to Pogo Park’s “adopt a spot” on Harbour Way and the Greenway, we will break out into groups and engage in a discussion/brainstorming session about art possibilities for the Greenway and what the group saw and experienced. Refreshments will be provided. 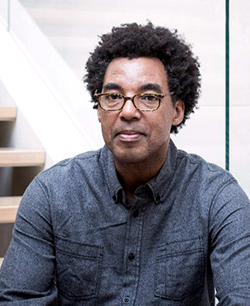 Rick Lowe: "Social and Community Engaged Work: The Genuine and the Artificial"
Rick Lowe is an artist and community organizer and founder of Project Rowhouses, a community-based arts and culture organization in one of Houston's oldest African-American neighborhoods. In September, 2014, Lowe received a MacArthur Foundation "genius award" for his visionary work in purchasing and restoring twenty-two shotgun houses to create an arts venue and community support center. Lowe will speak on socially engaged art and activism. This talk by Catherine Flynn (English) raises the question of urban knowing, of processes of knowledge that take place outside of familial, social and professional contexts and that depend upon the urban fabric. It looks at the means used to construct and represent such processes in literary and filmic representations of the city and the megacity. It examines Schröter’s 2014 record of encounters with strangers in Shanghai, Mumbai and Sao Paolo and her passage from the street to the dwelling places of these randomly encountered individuals. To begin thinking about the complexities of Schröter’s engagements, the talk looks at Joyce’s representations of urban life at a series of scales: a scene between Leopold Bloom and an old acquaintance on a Dublin street, a montage of multiple events in the city, and a comprehensive description of the municipal waterworks’ route to a kitchen. It compares the technical means availed of by Joyce and Schröter: urban (infrastructure, systems of circulation), artistic (stream of consciousness, static camera, montage) and personal (both Joyce and Schröter’s personae engage in silent looking, empathy and mimicry) and it considers the pressures put upon those means by the megacity. This event is part of the Reading Cities, Sensing Cities colloquium presented by the Global Urban Humanities Initiative. The 2014 film by Katarina Schröter, The Visitor (74 minutes), will be screened the day before Assistant Professor Catherine Flynn's talk, From 1904 Dublin to the Megacity, in which she will look at the question of urban knowing and the literary and filmic representations of the city and megacity. Cultural researcher Sue Mark of marksearch.org and Anisha Gade, urban planner and design researcher, will engage in a reflective conversation about creative place-making efforts that can influence, empower, and inform community identity during periods of gentrification. In particular, Mark’s interdisciplinary project, Communities’ Crossing, will create historically- and culturally-informed interventions along San Pablo Avenue in the area where Berkeley, Emeryville, and Oakland intersect. This project is supported by PRINT PUBLIC, an innovative neighborhood initiative by the Kala Art Institute and multiple community partners. Mark and Gade’s conversation will be grounded in three larger questions: the connection between real-estate development and critical art practices; the impact of media representations of the urban and the architectural; as well as the creation of platforms that can function as living neighborhood archives. Susan Moffat will give a talk on The Atlas of the Albany Bulb, her oral history and mapping project about a landfill on the eastern shore of San Francisco Bay. The Atlas project will include a website presenting stories, maps, and images of this vegetated pile of rubble known for its spectacular views, informal art, dog walking, and a longstanding encampment of residents who created homes, community spaces, and monuments out of found materials. This community was evicted earlier this year to make way for a state park. 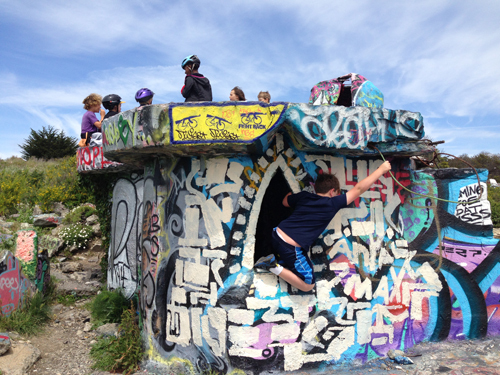 In addition to the website, Moffat is contributing to an exhibit of documentary and art work on the Albany Bulb that will be mounted at the SOMArts gallery in San Francisco in February 2015. In her talk, Moffat will reflect on how conceptions of nature and culture affect this highly contested site, which has been the location of bitter battles between people holding different notions of the proper uses of public space, and of what a park should be. She will reflect on methodological and ethical issues associated with documenting and representing people and their places, and on the different ways ethnographers, archeologists, oral historians, journalists, sociologists, urban planners, landscape architects, geographers, biologists, and others investigate urban sites like this one. 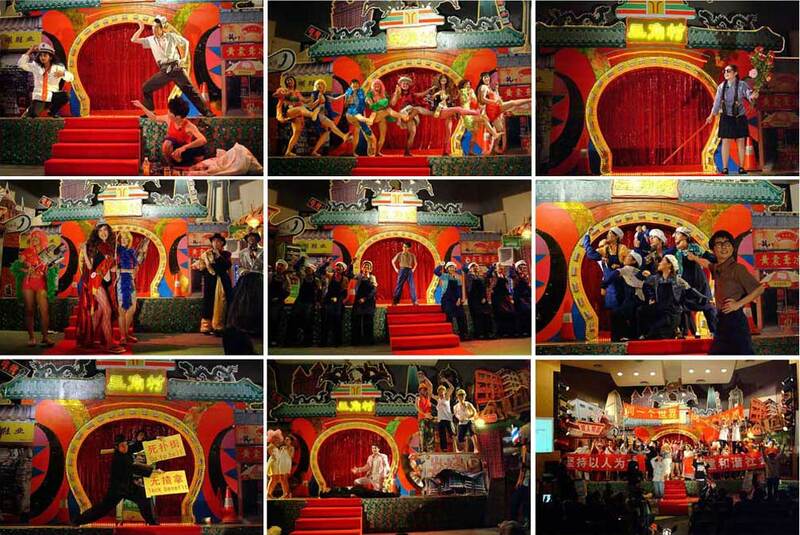 The Pearl River Delta region, encompassing the British post-colony Hong Kong, the Portuguese post-colony Macau, the historic port city of Guangzhou, and the post-Mao model city Shenzhen, is a site of exceptions to both national, transnational, and global discourses of space and culture. Join six scholars of the region as they introduce the strangest and most confounding sites they have encountered in their research. Nicholas Mathew, Associate Professor in the Department of Music, will give a presentation on the role of music and sound in the emergence of modern civic sensibilities in Napoleonic Vienna, and how printed music came to shape a new politics of urban pedestrianism. 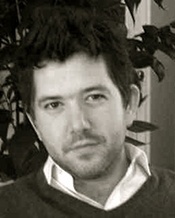 Professor Mathew's published work has focused on the relationships between music and politics: the place of music in political institutions, the role of music in the public sphere, and the ways in which music constructs identity and subjectivity – as well as issues of appropriation, subversion, musical trashiness, and political kitsch. Associate Professor Shannon Steen (Theater, Dance, and Performance Studies) will present research from her project “Creative Class Civil Wars,” which explores the ways our concepts of creativity are shifting to exclude those in the arts. Her presentation will examine how those changes are rooted in the history by which “creativity” became a legitimate object of academic research, a history itself based in Cold War international rivalry that now takes China as its primary object of anxiety. Her presentation forms part of her current book project The Pacific Century, on the performance cultures of the Pacific tech triangle (the Bay Area, Tokyo, and Shenzhen, China). Associate Professor Shannon Steen writes and teaches about race and performance, primarily in the intersection of the African American and Asian American worlds. She is the author most recently of Racial Geometries: The Black Atlantic, Asian Pacific, and American Theatre (Palgrave Macmillan, 2010; part of the Studies in International Performance Series), and is co-editor of AfroAsian Encounters: Culture, History, Politics (New York University Press, 2006). She has published articles in Theater Journal as well as Essays in Theater/Études Théâtrales. Join Winnie Wong (Rhetoric), Marco Cenzatti, and Margaret Crawford (Architecture) to learn more about South China’s Pearl River Delta (the triangle between Hong Kong, Guangzhou, and Macao) and Spring semester 2015 workshops and studios that will travel to do research in PRD urban and rural villages. 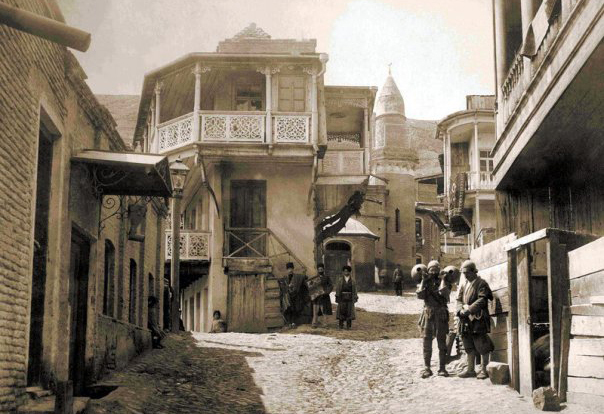 Associate Professor Harsha Ram will draw from his research project, City of Crossroads: Tiflis Modernism and the Russian-Georgian Encounter, an exploration of what happens to (historical) modernity and (literary/cultural) modernism in Tiflis (Tbilisi), Georgia, a city remote from the great metropolitan centers of Europe and the West. His work addresses colonialism and is particularly focused on problems of transculturation, hybridity, and the East/West divide. Harsha Ram is an Associate Professor of Slavic Languages and Literature and of Comparative Literature at UC Berkeley. Padma Maitland (Architecture and South and Southeast Asian Studies) and Lawrence Yang (East Asian Languages and Cultures) will discuss Urban Pilgrimage, a special web-based and print issue of the UC Berkeley architecture journal Room One Thousand. It will examine the historical and contemporary connection between cities and the itineraries of those who pass through them. Karin Shankar (Performance Studies) and Kirsten Larson (City and Regional Planning and Architecture) will discuss pARTicipatory Urbanisms, an innovative one-time, web-based publication exploring the multifarious meanings of "participation" and its conditions of possibility in making art and politics in urban spaces. Both publication projects were selected from a highly competitive slate of proposals for support from the Global Urban Humanities Initiative. Selected by the Initiative, Urban Pilgrimage and pARTicipatory Urbanisms represent important examples of the methodological experimentation embodied in the growing field of urban humanities. Both publications will be completed in Spring 2015. Professors Greg Niemeyer and Ron Rael are co-teaching a course entitled SENSING CITYSCAPES: SENSORS, CITIES, POLICIES/BASIC PROTOCOLS FOR NEW MEDIA in which students create and interrogate tools for collecting data on urban metabolisms. Through a suite of practical projects, the course introduces methods for retrieving and working with existing city data, investigating cities through surveys and mapping, generating data through digital sensing and ways of presenting data publicly. Project partners for this course are BART, EBALDC, the City of Berkeley, Youth Radio and data.acgov.org. Born in Switzerland in 1967, Greg Niemeyer studied Classics and Photography. He started working with new media when he arrived in the Bay Area in 1992 and he received his MFA from Stanford University in New Media in 1997. At the same time, he founded the Stanford University Digital Art Center, which he directed until 2001, when he was appointed at UC Berkeley as Assistant Professor for New Media. 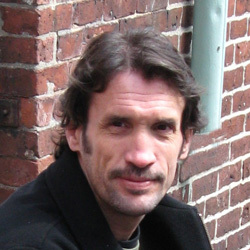 At UC Berkeley, he is involved in the development of the Center for New Media, focusing on the critical analysis of the impact of new media on human experiences. His creative work focuses on the mediation between humans as individuals and humans as a collective through technological means, and emphasizes playful responses to technology. His most recognized projects are Gravity (Cooper Union, NYC, 1997), PING (SFMOMA, 2001), Oxygen Flute (SJMA, 2002), ar (Pacific Film Archive, 2003), Ping 2.0 (Paris, La Villette Numerique, 2004), Organum Playtest (2005), Good Morning Flowers (SFIFF 2006, Townhouse Gallery, Cairo, Egypt, 2006), blackloud.org, sevenairs.org, and polartide.org. Ronald Rael is an Associate Professor at the University of California, Berkeley with a joint appointment in the departments of Architecture and Art Practice. Rael’s research and creative work transforms the practice of architecture into a cultural endeavor — one that is defiant, inventive and tied to contemporary issues. The work relies upon a deep understanding of place, and its inherent resources, and makes careful links between a broad spectrum of tools that come from manual, industrial and digital approaches to making architecture. 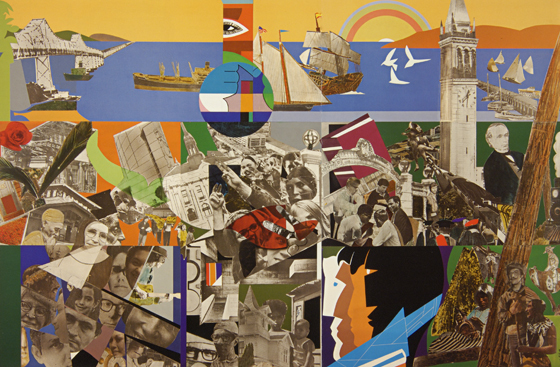 Assistant Professor Lauren Kroiz, History of Art, will present on Romare Bearden's Berkeley mural, an important work of public art that is the source of the ubiquitous multi-ethnic logo found on everything from City of Berkeley trucks to stationery and brochures. She will reflect on the relationship of painting, the construction of place, and regional planning. 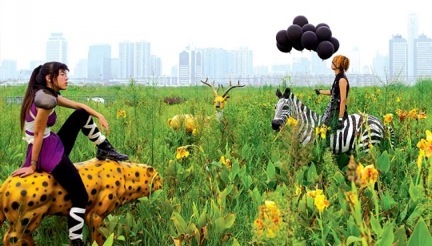 In her Fall 2014 course Regionalism, Nationalism, Globalism, Kroiz examines critical models of place and its influence developed in the twentieth and twenty-first century, exploring authors and artists including Lewis Mumford, Gayatri Chakravorty Spivak, Thomas Hart Benton, and Richard Diebenkorn. Kroiz's current research focuses on the ways regionalist educational projects linked art and citizenship in the United States during the 1930s and 40s. Kroiz's book Creative Composites: Race, Modernism, and the Stieglitz Circle, was awarded the 2010 Phillips Book Prize and was published by University of California Press in 2012. Presentation by Prof. Margaret Crawford (Architecture) on Art+Village+City in China's Pearl River Delta, a traveling research studio she will be teaching with Assistant Prof. Winnie Wong (Rhetoric) in Spring 2015. 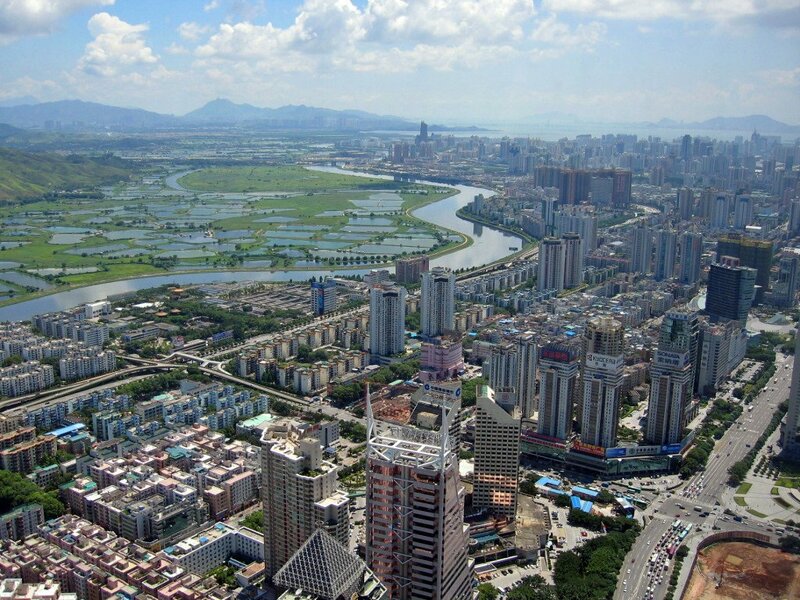 Before its current incarnation as the "factory to the world" and one of the densest multi-city clusters in the world, the Pearl River Delta (PRD) region was covered with agricultural villages. These villages are today surrounded by urban development as "villages-in-the-city," and are home to migrants from all over China. Due to their unique legal status, today urban villagers are among the few Chinese citizens who control their own land, build their own houses and elect their own leaders. Since 2006, central and municipal government policies have worked toward eliminating the village as an independent entity in the city. Art, design, and the creative economy have been central to this tension between village and city, and the "art village" has emerged as a transformative and distinctive urban phenomenon. 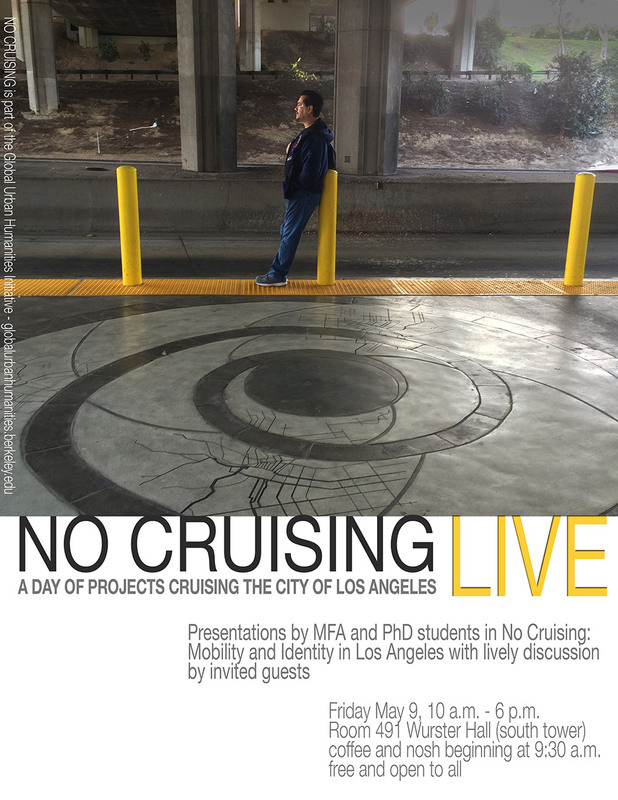 We are pleased to invite you to No Cruising – Live, a day of presentations showcasing the work carried out by MFA and PhD students in No Cruising: Mobility and Identity in Los Angeles – a semester-long humanities research studio (Architecture 209/Art Practice 218) taught by Margaret Crawford (Architecture) and Anne Walsh (Art Practice). The students’ presentations will be followed by lively discussions by invited guests. The event is free and open to the public. The course is one of three new interdisciplinary, team-taught courses offered each year by the Global Urban Humanities Initiative. A full description of the course and others in the curriculum is available here. A detailed program will be posted on this page shortly before the event. One of the world's leading theoreticians of film and media, Professor Casetti will address the fact that we are surrounded by screens. At home, at work, in public spaces, in our own hands, we increasingly deal with surfaces of different scale, that allow us to retrieve images and sounds, to stay in touch with others, to rework data. These screens are different from the traditional ones, tied with cinema and TV. They are spread, networked, and contingent. And yet they take place somewhere, and transform this place into a space of vision. What characterizes such spaces of vision? In what way do they implicate the other senses —starting from hearing and touch? What kind of relationship do they have WITH the representations they host? And finally, what ecology of media do they sketch? Presented in association with Spring 2014 Global Urban Humanities Initiative course, The City and Its Moving Images: Urban Theory, Media Theory (City and Regional Planning 291/Film 240/Chinese 280).